“As public servants, we have an obligation to fight meritless lawsuits. This case has been withdrawn, discontinued and dismissed with prejudice. 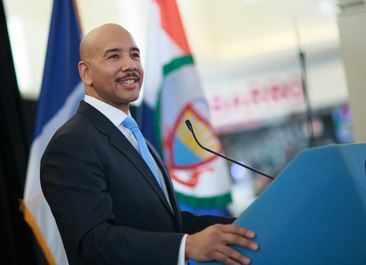 We are pleased with the outcome and that public monies were not squandered in an unwarranted settlement,” said John DeSio, communications director for Bronx Borough President Ruben Diaz, Jr., in a statement. In a telephone interview, Ms. Pinkney-Price said she withdrew her lawsuit after seeing documents showing that Diaz did not act in a discriminatory manner when he fired her. “When I saw additional documents I learned that my dismissal was not based solely on (racial) discrimination, I decided to withdraw,” said Pinkney-Price. She acknowledged that certain information is privileged and she can not discuss that. The news that Pinkney-Price has dropped her lawsuit comes at a time when Diaz’s name is being raised a future citywide, ie, mayoral, candidate in 2021, if not sooner. Last year, Diaz co-chaired Governor Andrew Cuomo’s re-election campaign. Diaz has crisscrossed the city in recent months in an effort to build his name-recognition and base of support. And as Bronx President, he has been pro-growth advocate and has benefited from the borough’s improving economic and housing fortunes. And it can’t hurt that his best bud, is freshman Assembly Speaker Carl E. Heastie. Sources say that the case was withdrawn with prejudice and therefore Ms. Price is precluded from refiling it at a later date. Since her dismissal, Pinkney-Price has been a thorn in the side of her former ally. Last year, She supported insurgent challengers against Senator Rev. Ruben Diaz, Sr. and Assemblyman Marcos Crespo. She has filed with the NYC Campaign Finance Board as a 2017 candidate for Bronx Borough President. To-date, Pinkney-Price has raised a meager total of $4540 in campaign donations to Diaz’s heftier $434,775. She only raised $1800 in the past six months. Most of the donations have come from family and friends. Pinkney-Price says that she will step up her fundraising next year. This entry was posted in Bronx, Campaign Finance, Elections, Government, Politics and tagged camella pinkney-price, ruben diaz jr.. Bookmark the permalink. Translation… “Oh, oh I didn’t know he knew about that, oh or that… ridiculous!